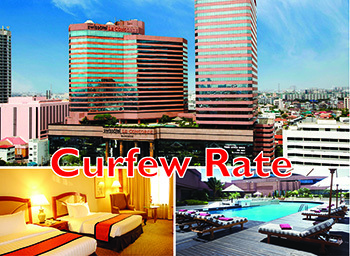 Swissôtel Le Concorde Bangkok cares for the safety of everyone in the nightly curfew. We offer a special room rate to secure for both Thai people and foreigner. With modern facilities and easy access by subway station just minutes away from hotel. Swissôtel Le Concorde Bangkok is a five star hotel on Ratchadapisek Road which attends with every situation for our guests in Classic room at THB 2,200 net per room per night for Single / Twin occupancy. There is the great benefits and value for money in the curfew time.